The #MeToo movement has brought unprecedented public awareness of the scope of sexual assault against women in the U.S. experience. These three additional movements bring to light sexual and gender-based violence in the Church. Image from #ChurchToo: A Conference on Responding to Professional Sexual Misconduct, Columbia Bible College, March 25-46, 2018. A nod to the extremely popular #MeToo movement, Emily Joy and Hannah Paasch coined #ChurchToo to emphasize that sexual grooming and abuse happen in church too, and are often covered up or sometimes even rewarded by those in power. WeWillSpeakOut.US is a movement of diverse faith groups from across the U.S. joining together with other leaders for action and advocacy to end the silence around sexual and gender-based violence (SGBV). WeWillSpeakOut.US produces "One in Three: Preventing Sexual Violence in Our Communities. 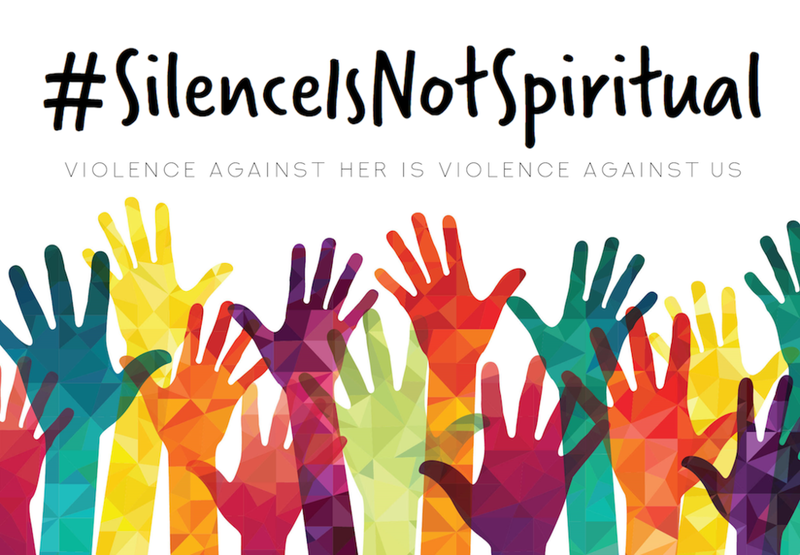 A Guide to Help Faith Leaders Educate Congregations and Communities about Sexual and Gender-Based Violence." It includes guides and ideas for three sermons. Download Pdf: "One in Three"
Do you know of another movement against gender-based violence in the church? Please share!